The Wee Can Fight Obesity program, a product of the ASF Foundation, was an official sponsor of the Summer Health and PE Conference that took place July 30 through August 1, 2014 at the 4-H Center in Columbiana. 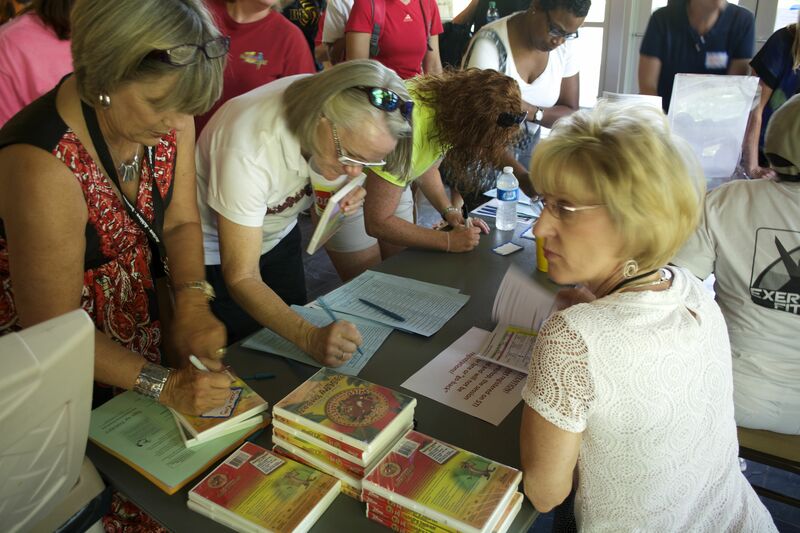 Alabama PE Teachers check in at the Summer PE & Health Conference. Connie Dacus, Alabama State University, demonstrates a classroom activity.